Klaxon appoints Mike Sutton as Business Development Manager. Klaxon Signals is pleased to announce the appointment of Mike Sutton as Business Development Manager. 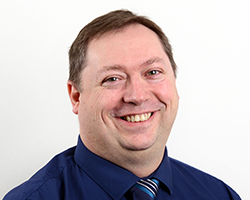 Mike’s career has focused exclusively on fire systems, with experience spanning account management, system commissioning, system design and system support. Mike has worked for Siemens Building Technologies and most recently Detect Fire and Security, where he held the role of Fire and Security Account Manager. Commenting on his appointment, Mike said, “I’m looking forward to working with the Klaxon brand and to be part of a team that is committed to exceeding the expectations of the alarm signalling sector. With the recent introduction of EN54-23 visual alarm devices Klaxon is at the forefront of fire evacuation products and technology”.